Michael Cimino, Director Of 'The Deer Hunter,' Dies At 77 : The Two-Way Cimino received broad critical acclaim for the 1978 Vietnam War epic The Deer Hunter, which won five Oscars. He followed it up with Heaven's Gate, one of the most famous flops in film history. 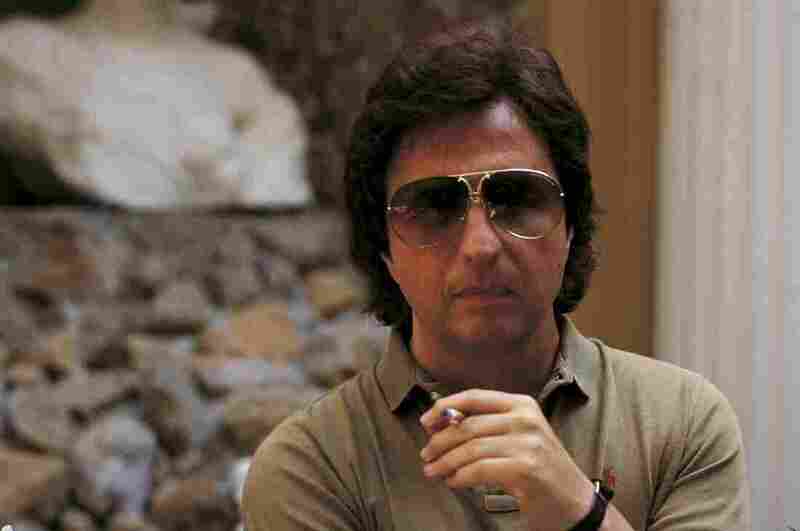 The director Michael Cimino in Italy during the '70s. Michael Cimino, the Academy-award winning director of The Deer Hunter, has died at the age of 77 in Los Angeles. Cimino received broad critical acclaim for the 1978 Vietnam War epic The Deer Hunter, which was nominated for nine Oscars and won five. He then followed it up with Heaven's Gate, one of the most famous flops in film history. The Los Angeles County Coroner confirmed Cimino's death, but said the cause is not yet known. The Deer Hunter, starring Robert De Niro, Christopher Walken and Meryl Streep, tells the haunting story of the impact of the war on a group of friends from Pennsylvania. It's "perhaps best remembered for a nail-biting sequence in which Mr. De Niro and Mr. Walken's characters, having been taken prisoner by the North Vietnamese, are forced to play Russian roulette with one another," as The New York Times reports. The Los Angeles Times says the Russian Roulette scenes "became instantly iconic, symbolic of the maddening pressures that set upon men at war." 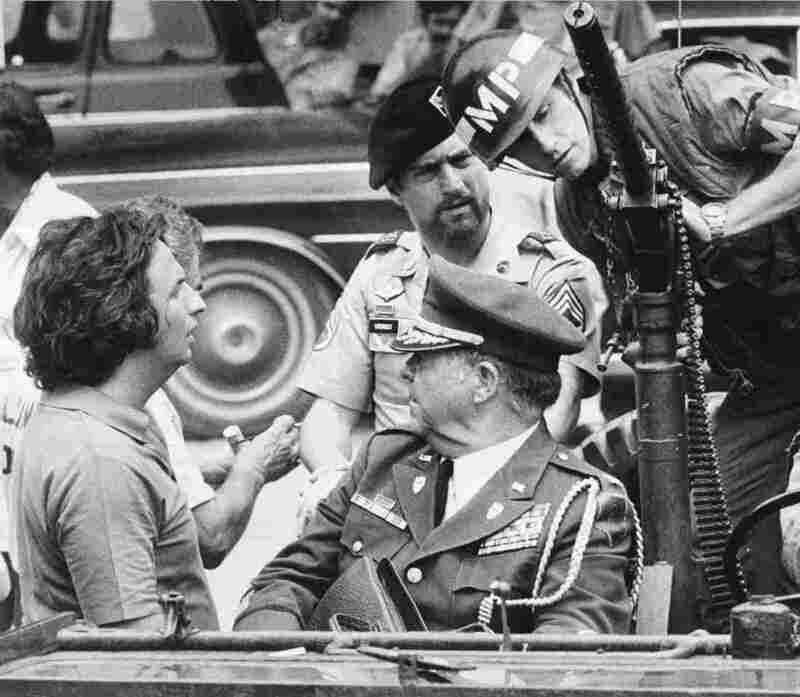 The film as a whole is viewed as "an authentic American tragedy and essential anti-war document," as The Guardian reports. Cimino was riding high from the triumph of The Deer Hunter. Next for him was Heaven's Gate, the revisionist Western that Fresh Air's critic-at-large John Powers recently called "the most famous cinematic disaster of my lifetime" and "the nail in the coffin of Hollywood's auteur filmmaking of the 1970s." The film was a financial disaster with a budget that ended up tripling during production. It lost about $114 million, adjusted for inflation, according to Time. "Cimino has a great sense of space, a marvelous eye for landscape and a taste for epic storytelling. He was trying to make a masterpiece, and though he wound up with a critical and box-office drubbing, the failure to pull off a masterpiece is hardly the worst crime an artist can commit." After Heaven's Gate, Cimino released several others but largely went into seclusion. He "declined all interviews with American journalists for 10 years," as Vanity Fair reported. In a 2010 interview with the magazine, he defended his legacy: "Nobody lives without making mistakes," he said. "I never second-guess myself. You can't look back. I don't believe in defeat. Everybody has bumps, but as Count Basie said, 'It's not how you handle the hills, it's how you handle the valleys.'"